With Google-owned Motorola set to release the hotly anticipated and much-leaked Moto X handset today, one of the only questions that remain about the device is its price tag. Analysts at Goldman Sachs who have been following Moto X developments are predicting a Nexus 4-like price point of $300 off-contract (for the 16GB model) that could potentially force Apple and Samsung to lower the fees both companies charge to include Google as the default search engine. According to the Goldman report, “Google has faced challenging economics with the shift to mobile from desktop given traffic acquisition costs (or TAC) imposed by key smartphone vendors.” The analysts believe that Google pays TAC rates of more than 75% for iOS devices – which are estimated to generate 60 percent of mobile internet traffic. Google also pays Samsung TAC of about 10 percent – with Samsung holding 31 percent of the global smartphone market share. If the Moto X becomes a big hit, it could steal market share from the two biggest smartphone powerhouses and potentially force a renegotiation of TAC fees. “We believe that Moto X represents Google’s attempt to achieve higher levels of mobile monetization, as it does not have to pay TAC on this device and since a more meaningful presence in smartphones could help elevate Google’s bargaining positioning vs. Samsung and Apple,” said analysts in their 21-page report, which had excerpts published on Barrons’ technology blog. 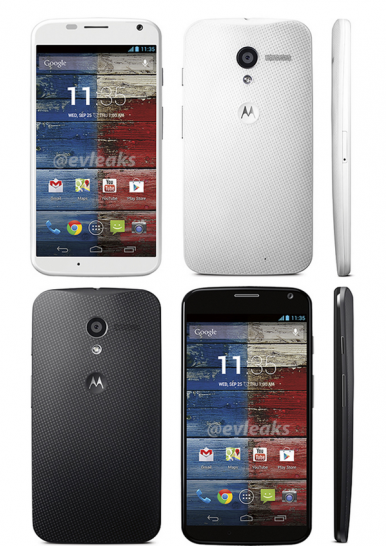 The team of analysts estimated that Google spends about $225 to produce each Moto X handset. If it is successful, the $75-a-piece profit could boost Google’s net margin. “If Google can capture 50bps of the global smartphone market in CY14, or 6.6mn units, and sells its Moto X device for $300 (ex factory price) it would equate to an incremental $2.0bn in revenue or 3 points of upside vs. our current CY14 gross consolidated revenue forecast,” the report stated.